Matthew Roberts (Calder Valley) and Jennifer Charlton (Eryri Harriers) were the inaugural winners of the Welsh Athletics. 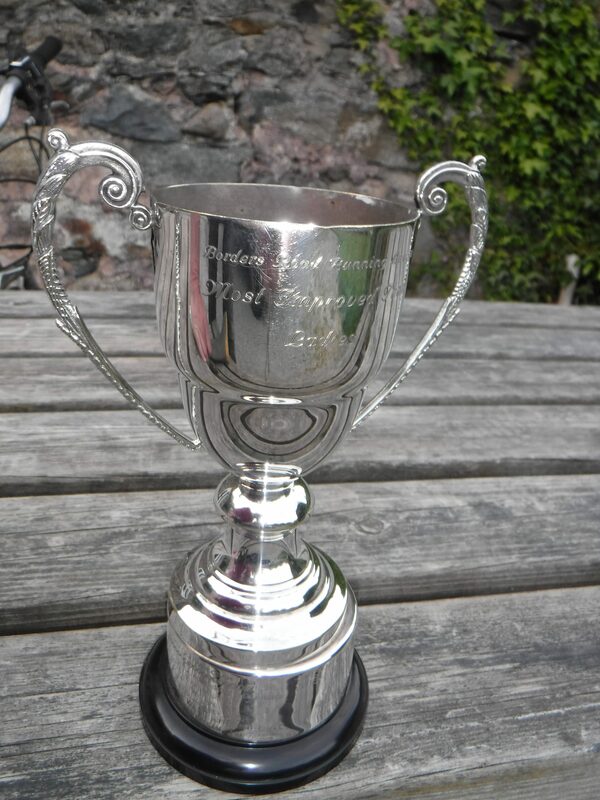 North Wales Regional Mountain Running Championships which were incorporated into the annual Moel Eilio race at Llanberis on Saturday 26th May. Weather conditions were overcast, but very warm for the tough, 12.8km event which involved 915mtrs of climbing. Matthew Roberts (1:06:32) was a clear winner of the race ahead of Felipe Jones (Sarn Helen) 1:10:05 with Jennifer Charlton. 1:25:35 also enjoying a healthy lead ahead of Hayley Evans (Buckley) 1:30:40. Thank you, and Well Done to Jayne Lloyd and her crew for the well organised event. for 2017/18 by 515 points. Well done everyone, and also to Arwel for his third place in the MV55 category. Four Eryri Harriers were amongst the 632 finishers in the tough Snowdonia Half Marathon at Llanrwst on Sunday 20th May, an event which included a steep 1 in 7 climb after 11miles! Weather conditions were quite warm and sunny as the runners made their way into Gwydir Forest, past Llyn Geirionydd, Llyn Crafnant to Trefriw and back to the finishing line in Llanrwst. Eryri were led home by Arwel Lewis in 23rd position overall and 1st MV/55 with a time of 1:41:36 followed by: 32nd Huw Owen 1:43:43. 67th Guto Rhys 1:48:41 and 84th Steffan Evans 1:51:32. The event was won by North Wales Road Runners Martin Green in a time of 1:22:54. Another well organised Run Wales event. Well done to Matthew Fortes and Paul Jones for their outstanding performances in the 50 mile Ultra Trail Snowdonia Race with 5,500m (!) of climb – the weather was clear and sunny but still boggy in places due to rain the night before. Matt was 6th overall (13h31m) and Paul was 26th (16h04m) – really amazing running all round, legs are feeling it today….!? Action shot courtesy of Russel Owen and Matthew at the finish. Well done to everyone who took part! 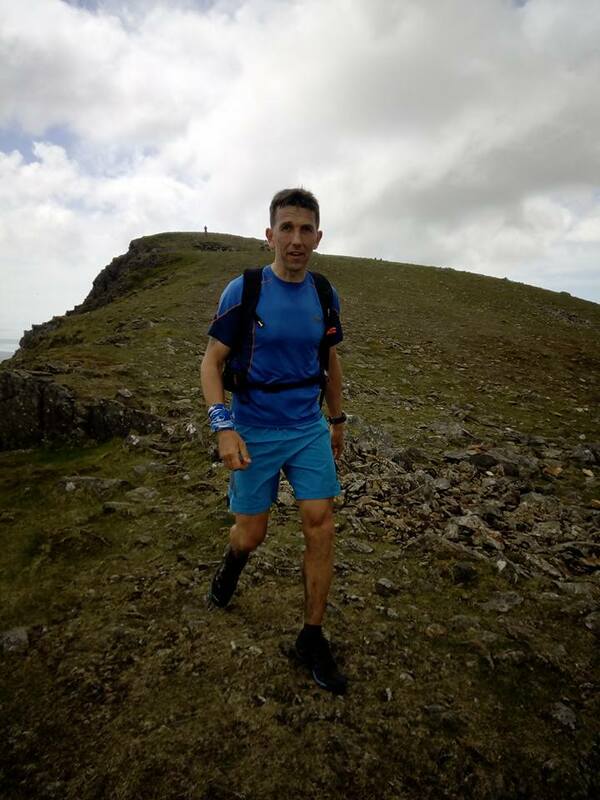 Rob Samuel was in imperious form once again in winning the Welsh Trail Running title at Devils Bridge, Aberystwyth on Saturday 5th May. On a very tough, Half Marathon race route run in very warm and sunny conditions, Rob led from the start to win in a time of 1.27.59 ahead of 2nd placed Daniel Bodman (Aberdare) 1.32.57. Arwel Lewis finished 15th overall in a time of 1.56.51. In the Red Kite junior races, Calumn O’Donnell finished 10th in the under 17 boys race with a time of 22.39. 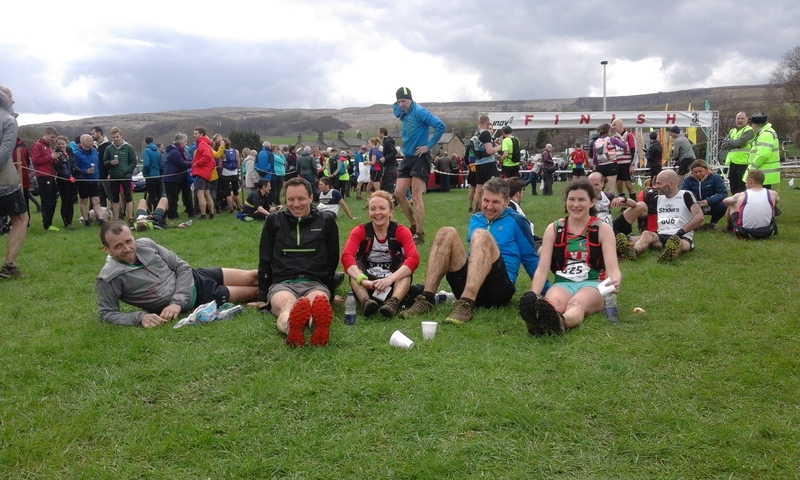 Just as Lou Beetlestone was starting her fantastic Paddy Buckley round, five Eryri Harriers were starting the prestigious 24 mile Yorkshire 3 peaks race along with 780 other runners. It’s tough underfoot with limestone slabs, some longish flat sections and steep climbs, all made up for with near-perfect weather and fantastic race atmosphere! 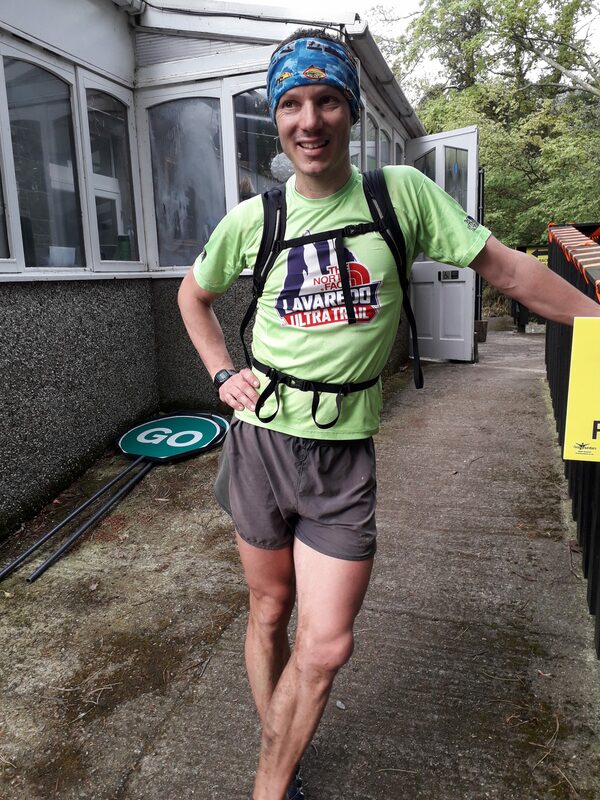 Well done all – Eryri was led home by Matthew Fortes in 36th overall (3h25m, 5th V40) followed by Richard Roberts in 113th (3h47m), Sarah Harley (4h7m, 22nd female), Paul Hodges (4h39m, 449th) and Ali Thomas (4h47m, 67th female). Apologies didn’t get any pics but here’s one at the end before it got too chilly, also with Sian and Dylan from Hebog! Andrea Rowlands was amongst the 3405 finishers in the inaugural Newport Marathon on Sunday 29th April where she finished 52nd overall and 2nd female in a time of 2:58:56, only her second ever sub – 3 Hour Marathon while Rhys ap-Elwyn finished 379th overall in a time of 3:28:10.